MEURSAULT — The key word for Alain is PASSION. The man is passionate about Meursault, one of the most famous white wine towns in the world. He is passionate about Chardonnay, which he feels gains its greatest expression in the Cote de Beaune region of Burgundy. He is passionate about quality wine making and “les grands vins de Meursault”, which he likes to share with loyal friends. Alain says that the quality of a great wine owes nothing to chance. The soil in his well-situated vineyards must be environmentally maintained. The vines must be worked and harvested by hand only. Only the highest quality fruit is chosen for the wines. Then, the winemaking process is watched every step of the way with complete respect for the traditions with which the great Chardonnays from Meursault have always been made. His family has been making wine in Meursault since 1830. The entire estate is only Alain, his wife (Christiane), his two daughters, and one son in law — a true family affair. The son-in-law, Marc, has been assisting Alain for 15 years. Marc has now taken over the winemaking. He is the 7th generation winemaker in this talented family. Without hesitation, Alain states that his wines are food wines. That is, they are made to go with a meal. Burgundy has one of the greatest food reputations in the world and Alain makes his wines to complement each course of a dinner. He says that when you share time with friends, you should punctuate that time with great food and great wines. Alain is very appreciative of any efforts to help Americans understand and become familiar with the Burgundian lifestyle and people. 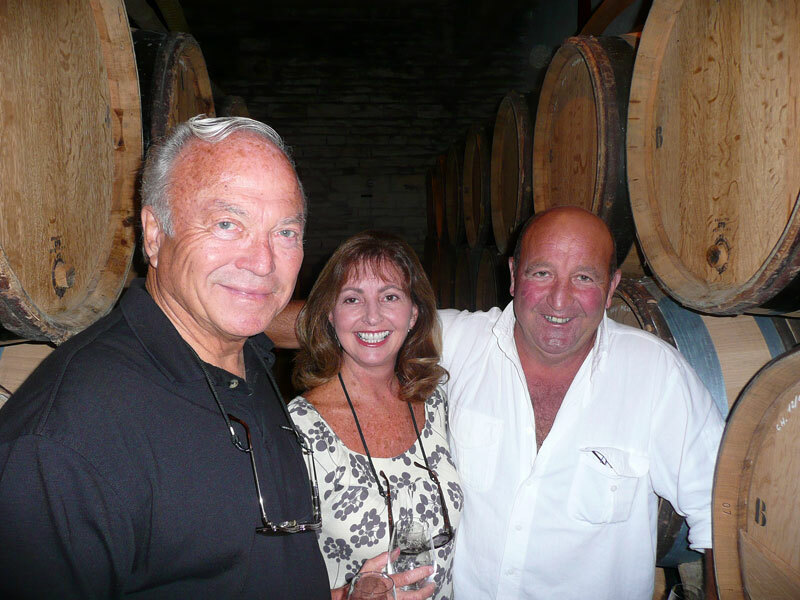 He personally sponsored me to be inducted into the famous Confrerie des Chevaliers du Tastevin at the venerable Chateau Clos de Vougeot. He also made it possible for me to become a Chevalier de la Pochouse, which is unique in the world. Alain’s motto is “Qui boit du Meursault, ne vit ni ne meurt sot!” Translated, this motto says that whoever drinks the great wines from Meursault will neither live nor die a fool. In French, it is a play on words. Please enjoy the wines of Alain Patriarche… with passion. Please call us to learn more about our Patriarche, Alain Wines and their availability.